While there are many benefits to providing rail siding services—cost efficiency, volume capacity, and environmental friendliness, just to name a few—safety and security of goods can be a sticking point with some clients. If you offer outdoor rail siding, make sure you can guarantee safety from theft, vandalism, and weather when goods are outside and not being monitored. This may mean hiring some extra hands or extending hours to include making sure all goods shipped are safe. And with any kind of rail siding service, clients may be concerned that their products may be damaged while being transported at such high speeds. Although you can’t 100% guarantee that shipments won’t be accidentally damaged, make sure everyone you hire is trained to load shipments so as to reduce the possibility of movement and damage in transit. Internal organization and efficiency. Though rail is much more efficient than shipping by truck, it’s still only as efficient as your internal structure allows—and an unorganized warehouse service can still set clients behind, no matter how fast their goods are transported. Your internal organization needs to be efficient and your team well-trained in order for your customers to receive fast and helpful service. 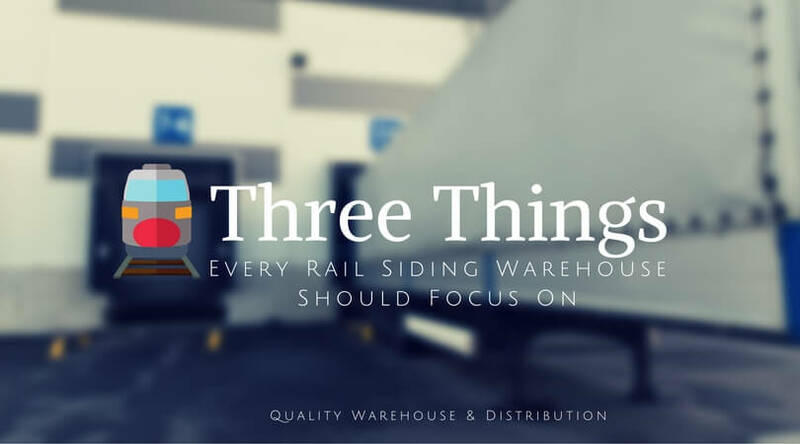 From labeling and organization to staff training and internal communication, it’s essential for each piece of logistics management to run smoothly in order for clients to fully experience the benefits of a rail siding warehouse. Educating clients about shipping options. Rail siding warehouses offer options that can save clients money, time, and stress, but those who aren’t familiar with rail siding may not think to ask the right questions. Rail siding is not always the most obvious and intuitive consideration for businesses when they’re looking for transportation, especially since it’s one of the oldest modes of shipping in the country. So that means it’s up to you and your team to make sure any potential or current clients know the many benefits of rail siding. Consider having promotional materials on hand to explain the benefits of rail siding, from its efficiency to environmental-friendliness, and making sure each member of your staff understands them as well.